I’m right with you, I want to be a brewer too. I’m not saying that I want to put in all the hard work or anything crazy like that, I just want to wake up one morning and blow right past my office to take a spot at a small brewery that I can call my own. So, due to my lack of drive and general need to actually pay bills at the end of the month, I’ve continued to pursue my day job (Oh, joy!) and let the professionals provide me with the best brews that they have to offer. My good brother Sudsy understands my plight better than anyone, which is why he continually supplies we with hope, beer, articles, beer, and anything else (Including beer) to keep me interested in the brewing industry. 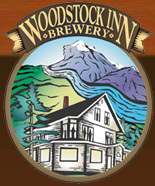 The most recent article to come across the webs describes what could be the coolest beer-immersion experience ever at the Woodstock Inn Station and Brewery in Woodstock, NH. Located smack dab in the middle of the White Mountains, the Woodstock Inn is a great little brewpub in a sleepy town that seems to cater more to the B&B crowd than anything else. That’s what I enjoy so much about this place since you can combine a romantic getaway with your wife/girlfriend (Yes, they can even schedule a massage) and enjoy some of the finest hand-crafted brews the Granite State has to offer. There’s a great mix of beer geeks, leaf peepers, hard-core townies, antiquers, and even some stank-smelling through hikers coming off the nearby Appalachian trail. When you see the hop trellises climbing the exterior of the building, you know it’s the place to be. What differentiates this brewpub from any others though is a brew-and-stay package they offer to aspiring brewers, beer geeks, or just anyone that wants to know a little more about the brewing process and the industry itself. They give you a chance to haul grain, monitor hop additions, and really just appreciate how much hard work and dedication actually goes into each pint that’s set out before you on a regular basis. I don’t want to give everything away, so check out the link below from the NY Times and book your trip now. If NH isn’t on your local radar, read on as there’s a few other opportunities to get a feel for the business including Dogfish Head, Boston Beer Company, Rogue, and even at AB. The moral of the story? Go visit your local breweries. There’s no better place to learn. Enough with my prose, go read from someone who actually knows what they’re talking about. Enjoy! Posted in Ale Factories, Brews in the News.Tagged Boston Beer Company, Brewing, Brewpub, Dogfish Head, New Hampshire, Rogue Ales, Woodstock Inn Station and Brewery.